Dan and Miranda Diaz were overjoyed when they found out they were expecting twins! Weimaraner Payton and pitbull Sox weren’t as thrilled. 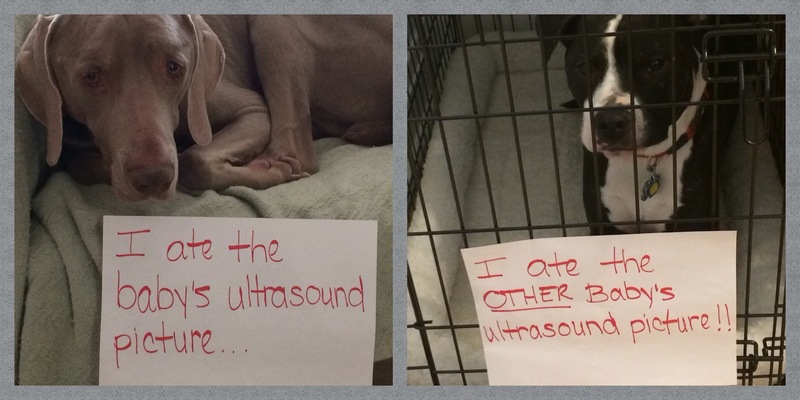 Congrats from the dogshaming family to yours! Posted March 4th, 2014 . Bad boys! So adorable, but bad boys! And they don’t look all that sorry! LOL! But, you said we were your babies! there can only be two! They were just trying to get rid of those little aliens. They were scary.